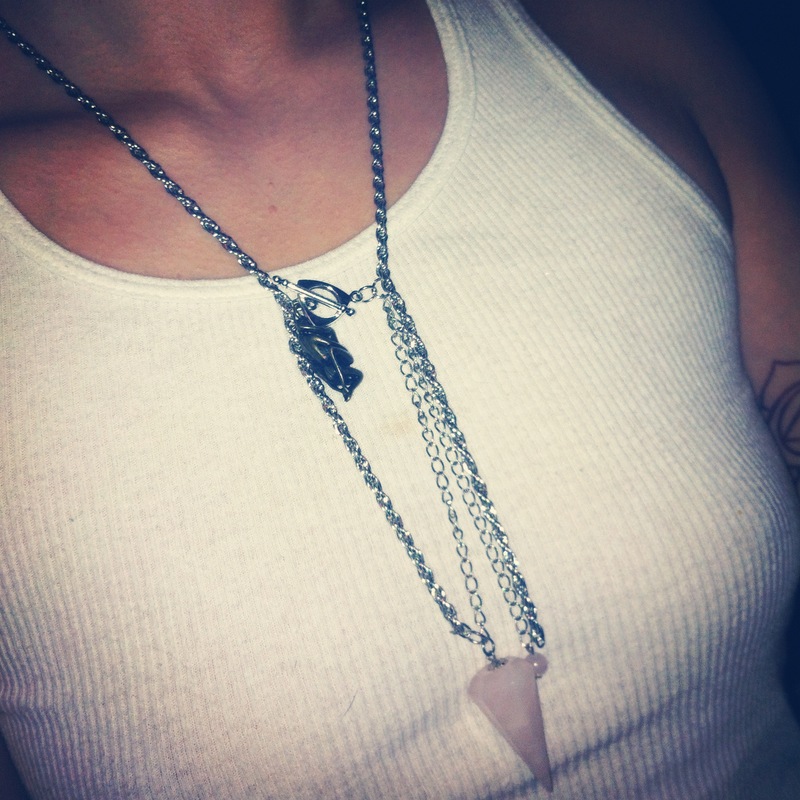 Rose Quartz Pendulum on Rhodium Silver with lovers loving. Rose Quartz is an excellent stone for love, drawing or opening the heart. It also helps you learn to love yourself! Headaches, sexual dysfunctions, fears. This entry was posted on Wednesday, December 14th, 2011 at 8:26 pm	and tagged with art, bolo, craft, handmade, jewelry, lover, metaphysical, pendulum, spiritual, westurn and posted in Uncategorized. You can follow any responses to this entry through the RSS 2.0 feed.